Video calling is everywhere. Whether using Skype or something a little less Microsoft-owned, there are many ways to enjoy face-to-face video chat wherever an Internet connection may be present. Now, Facebook has got in on the act by announcing an update to its official Messenger app for iOS and Android, which will include video chat capabilities that aren’t too dissimilar to, say, FaceTime. Ever since Facebook declared Messenger as a standalone utility and dispelled it from the official app, the company has attempted to mold it into a feature in and of itself. Facebook wants Messenger to have its own identity, which includes ditching “Facebook” from the naming of Messenger in the App Store and Google Play App Store, and if you’re looking for one less reason to seek alternatives, the introduction of video chat may prove a major deciding factor. 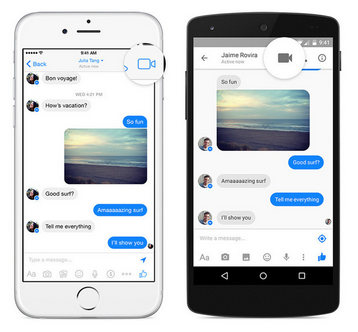 It is the latest in a series of moves by Facebook to essentially scrape features of rivals. The company has, on many occasions in the past, sought to overwhelm smaller start-ups by copying and implementing their ideas, but it hasn’t always worked out, and while the likes of Periscope and Meerkat may be looking nervously over their shoulders at this point, Facebook Messenger video chat is probably not yet a threat to these services. Video chat is a one-to-one service arriving throughout 18 different markets right away, including the likes of France, Greece, Portugal and Mexico, as well as the United States and the United Kingdom. One the initial launch nations have broken Facebook Messenger Video Chat in sufficiently, it’ll expand further, but for now, is fairly limited as Facebook looks to hit the ground running. If you want to begin a video call, you’ll be able to by tapping the new video camera button, to be located in the top right-hand corner of the interface within a conversation. So long as there’s a decent reception at both ends of the line, the video call will then begin, and it’s compatible with Wi-Fi and cellular 3G / 4G connections right from the off. 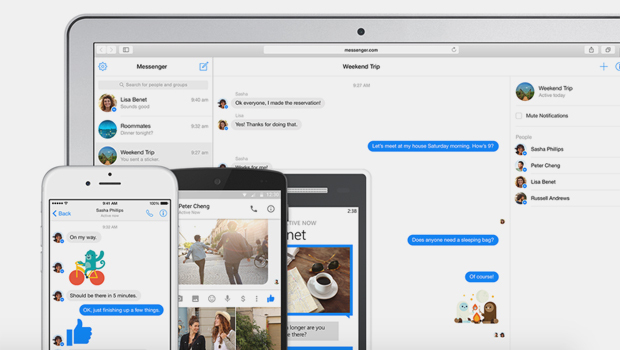 If you’ve been following the evolution of Messenger, you will, as do we, see this move as a natural progression. Facebook Messenger has, for a while now, included voice calling capabilities for VoIP chat, and not so long ago, drafted in a feature enabling users to send money to one another with ease. Video chat essentially helps Messenger to draw parity with many others in terms of features, although with a network of users well over the billion mark, has a clear advantage when it comes to user base. Still, with the kicker of WhatsApp, which the company acquired for almost $20 billion a short while ago, the company’s IM presence is strong, and if you’re on iOS or Android, video chat should be arriving at your door very shortly.